Excitement over “ace songwriter” (Cosmopolitan) and critically acclaimed, four-time Grammy Award nominee Brandy Clark’s new album is building as the singer-songwriter offers Big Day in a Small Town, released June 10 on Warner Bros. Records. “This record is a musical journey that has stretched, inspired and moved me artistically,” Clark said. “I hope that it moves fans when they hear it half as much as it moves me when I play it every night." Girl Next Door is the first single from Clark’s major label debut, produced by genre-bending Nashville producer Jay Joyce. 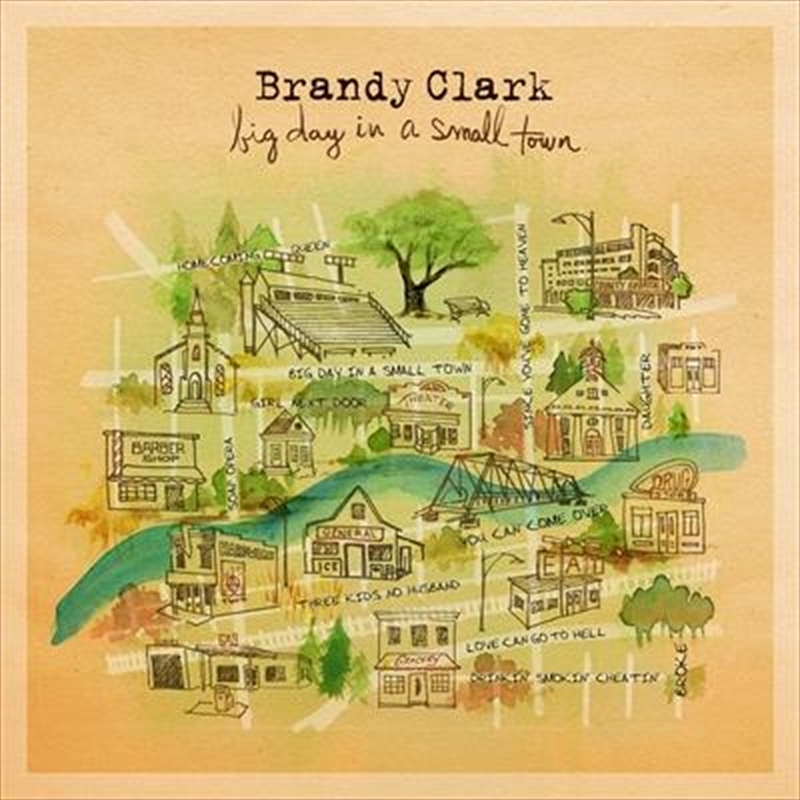 Big Day in a Small Town is the follow up to Clark’s audacious 2013 debut album, 12 Stories, which was featured on "Best of" lists from New York Magazine, NPR, Rolling Stone, The New Yorker, The New York Post and The Boston Globe in 2013. That same year, The Los Angeles Times called it “the country debut of the year." Big Day in a Small Town is being greeted with similar excitement already as it recently made Cosmopolitan and Rolling Stone’s lists of albums to look forward to this year. Clark received her first of four career Grammy Award nominations in 2013 in the Best Country Song category for co-writing the Miranda Lambert No.1 hit Mama’s Broken Heart. She won the 2014 CMA Song of the Year Award for Follow Your Arrow, which she co-wrote with Shane McAnally and Kacey Musgraves, and was also named the 2014 Music Row Breakthrough Artist of the Year. The Academy of Country Music voters nominated her for Female Vocalist of the Year in 2015. Big Day in a Small Town tells the stories of the football star, the father, the homecoming queen and the hairdresser because those are the stories and people that Clark grew up knowing in Morton, Wash.